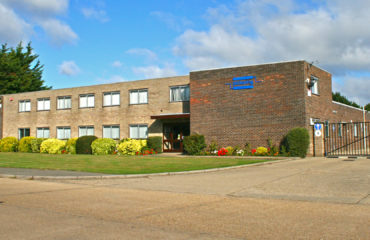 Now in its 50th year, The Pickering Group is undergoing an expansion at its UK and Czech Republic sites. The group of companies which includes Pickering Electronics and Pickering Interfaces has already completed a refurbishment of its UK interfaces’ site, and work at the relay company is due for completion in Q1 2019. In addition to redeveloping its global headquarters and manufacturing centre in the UK, Pickering is also investing in an additional 3000m2 facility in the Czech Republic. This Czech facility is already producing many of Pickering Interfaces’ vast array of switching and simulation products in the industry for PXI, LXI, and PCI applications, including value add assembly such as cable and connector solutions. In total, the investment in the UK and Czech is expected to reach £5 million. Keith Moore, CEO, commented: “Despite predictions as far back as the 1970s that our relay business would have a limited lifetime, we have seen exactly the reverse. 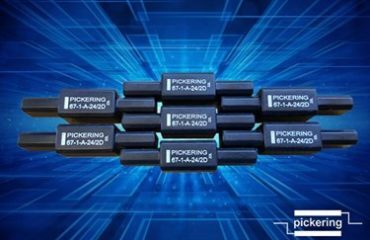 We are challenged by our customers – including our sister company Pickering Interfaces – to deliver ever-higher performance in miniature packages, and that means that demand for our reed relays has never been higher. Pickering is now a global company with support locations in the USA, Germany and China with representation across Asia, the rest of Europe and the Americas. To celebrate our 50th Anniversary this year, Pickering Electronics have published a book about the first 50 years of manufacturing quality Reed Relays. The book features various milestones in Pickering Electronics’ history, along with stories, quotes and personal photographs from our founder, directors and employees. Pickering Electronics have been specialising in high-quality instrumentation grade Reed Relay designs for over 50 years and are eager to share their technical expertise. 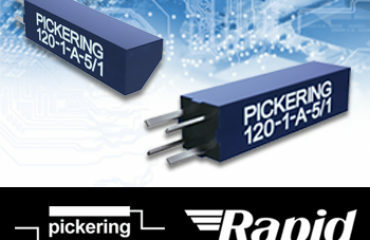 Pickering relays are sold in high volumes to automatic test equipment companies throughout the world.